MOSCOW, January 18. /TASS/. Russian servicemen have recorded seven ceasefire violations in Syria, another seven breaches have been recorded by Turkey, but they have not been confirmed by Russia, the Russian Center for the Reconciliation of the Warring Parties in Syria said in its daily bulletin posted on the Russian Defense Ministry’s website. It noted though that Russia has not confirmed seven violations registered by Turkish representatives. Over the past 24 hours, another populated locality, Rastin (Latakia province), has joined the reconciliation process. The number of inhabited localities that have joined the reconciliation process has climbed to 1,135, the Russian Reconciliation Center said. 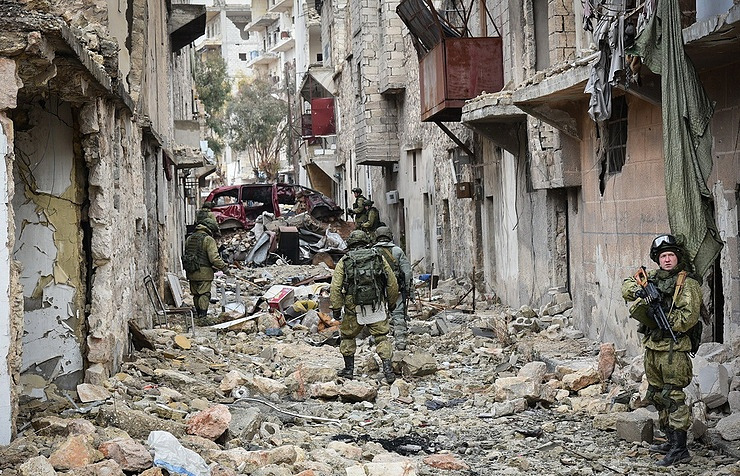 As part of Russia’s humanitarian effort, 7.8 tonnes of humanitarian aid have been passed to civilians in the city of Aleppo, and 1.2 tonnes – in the Rastin populated locality (Latakia province). In addition to that, toys and children’s clothes have been handed over to civilians at the al-Zagra temporary accommodation facility in the city of Homs.